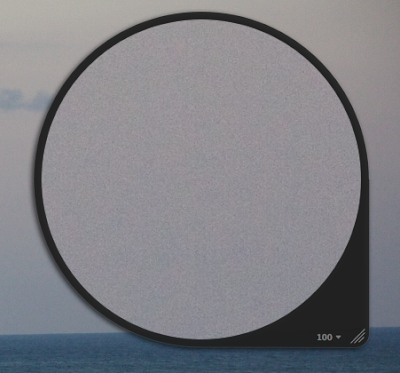 A New Mac Tip Every Day: Loupe zooming in Aperture! It is possible to change how much the loupe zooms in Aperture. By default, it is a 100%. A hundred percent makes sense because you really see it the way it should be seen, at the right resolution. Even if there isn't more resolution, going even bigger can still be useful. 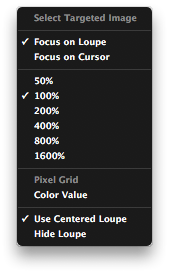 You can do this by clicking on the 100 in the lower right corner of the loupe. It will let you choose anything from 50% to 1600% of zoom.